Then I was swamped with conference calls yesterday. It used to be that I'd never miss an Oscar nomination announcement. I only attended once in person, but I've generally woken up, even at 5 a.m. since I moved to the West Coast, to get a first glimpse at all the nominees. This year, even though insomnia had be up and mostly awake at 4 a.m., I didn't wander into my living room and turn on the TV. When I actually rolled out of bed at 7, I showered and downed an energy drink before booting up my computer and checking the nominations. My reactions in general can be summed up with a resounding, "Eh." And a shrug. Thanks to the strike and the cancellation of the Golden Globes, this award season has been a wee bit muted, but that doesn't mean that the candidates haven't been shuffled and reshuffled and dealt and re-dealt so many different ways that it's almost inconceivable for anything to be a true surprise. Tommy Lee Jones sneaking in and grabbing a best actor nomination? No surprise. For "In the Valley of Elah"? Well, that's a surprise, but it's Tommy Lee Jones. Cate Blanchett picking up that bizarro second nomination for "Elizabeth: The Golden Age"? Well, that's a surprise, but it's Cate Blanchett. I'll do my full "Should Win/Will Win" break-down in February in the days leading up to the Oscars. The first thing that needs to be said is that to variable degrees, I liked all of the Best Picture nominees. Or I certainly didn't dislike any of them. That's a rare occurrence. I'm accustomed to being able to root against a "Crash" or "Little Miss Sunshine," albeit with only variable success. Not so much, this year. Whenever I get around to writing my Top 10 list -- still catching up on a few more essentials -- "No Country For Old Men" is a lock to be No. 1 and "Atonement" is almost certain to be in the Top 5, no matter how much that infuriates certain of my colleagues. "Juno" may crack the bottom of the Top 10 and, as its lack of review here suggests, I'm still unable to fully process "There Will Be Blood." But I know that as much as it felt like getting beaten over a head with a mallet, I appreciated a lot of it. And even the chilliness I got off of "Michael Clayton" wasn't enough to cause me active disapprobation. It's just a taste thing. That's why I have to go to best actor and best actress to find things to root against. Devoted readers and people who have been stuck sitting next to me at any recent point know my feelings for Johnny Depp's "Sweeney Todd" performance. It isn't that I dislike Depp or will begrudge him the Oscar that he will one day win. I'd just have preferred that at least a half-dozen actors grab nominations instead of Depp for what is essentially a one-expression, one-note (literally) performance defined more by hair and make-up than acting. Oh and on the Tommy Lee Jones issue... Yes, it's a darned odd nomination. Folks didn't see "In the Valley of Elah," much less like it. But here's something I hadn't paid much attention to: While Jones is considered one of those "Everything he does is Oscar-worthy" actors, he hasn't been nominated since winning for "The Fugitive," which was a looooong time ago now. His performance is actually the opposite of Depp's. It looked one-note and taciturn, but it really isn't. Anyway, I'm railing against Depp and I'm going WAY against the tide on Marion Cotillard, whose slouching and twitching and lip-synching (would that Depp had also lip-synched) moved me less than it moved some other people. CHEERS -- Viggo Mortensen's nomination, his first. While "Eastern Promise" remains hamstrung by its final act, Mortensen's performance is the year's best by an actor. 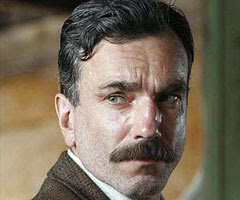 Yes, better than Daniel Day-Lewis' magnificent hamminess in "There Will Be Blood." JEERS -- We all knew that Julian Schnabel was breaking into the best director field for "The Diving Bell and the Butterfly," a movie that had me rolling both of my good eyes in my sockets for the better part of an hour of increasingly mind-numbing pretentiousness. Sorry. But everybody figured "Juno" would be this year's "Film that directed itself." Instead, Joe Wright got left out for the often gloriously epic orchestration of "Atonement," a technical marvel of scale and depth. And Jason Reitman was nominated for keeping Diablo Cody's script moving. That's just weird. CONFUSED SHRUG -- I haven't seen "Elizabeth: The Golden Age," but even in the trailer, Cate Blanchett does a lot of shouting to the back row. If the Academy was going for showy and obvious, I'd have greatly preferred a nomination for Amy Adams. If "Enchanted" had made $150 million at the box office, she'd have been nominated. Guarantee. It just wasn't a big hit and so there was no momentum for her to ride. CHEERS -- I love a supporting actress field that contains both Ruby Dee and Saorise Ronan. That's diversity. Actually, that's a bit of a joke. Beyond Dee, the nomination field is about as lily-white as we've come to expect from the Academy. But in terms of age? You've got Ronan and Ellen Page on one end Dee and Hal Holbrook on the other. So that's *something*. JEERS -- You know how I said that Amy Adams would have gotten a nomination except that the movie didn't make enough money? Well how the heck did "Enchanted" get three song nominations? I remember the one with the vermin cleaning house, but that's it. Heck, I'd have rather seen one Eddie Vedder's mopey "Into the Wild" songs make it. Just one. CONFUSED SHRUG -- Love it or hate it, Jonny Greenwood's score for "There Will Be Blood" was more closely tied to the overall make-up of the movie than any other combination of score and film all year. The Academy's decision to deem it ineligible at the last minute is just another predictable embarrassment from a group that just can't stay out of its own way some years. CHEERS -- He may split the votes with himself leaving the Oscar for the blurry artiness of "Diving Bell," but Roger Deakins' pair of nominations for "No Country for Old Men" and "The Assassination of Jesse James by the Coward Robert Ford" couldn't be more deserved. And while I'm at it, good for "Roderick Jayes" picking up an editing nomination and giving the Coens nods for directing, producing, writing and editing the year's best movie. Also, on an unrelated note, I'm glad to see Sarah Polley pick up an adapted screenplay nomination for "Away From Her." She's crazy-talented. JEERS -- If there was a place for "Norbit" to get one nomination, there had to be a place for "Zodiac" to get a nomination. Anywhere. Adapted screenplay? Cinematography? Score? Supporting actor? Heck, production design or costuming? CONFUSED SHRUG -- Did the nominating voters watch more than five minutes of "Surf's Up"? Because for five minutes, it was funny an innovative. It became intolerable really soon after that. Surely with $200 million in the bank, "Alvin and the Chipmunks" deserved a little recognition. That's a joke. Mostly. Agreed on all counts. So much of my usual post-nomination reaction is keyed into disappointment I find myself actually a little bored that there's no one film I'm exclusively rooting for and the one film I actively disliked (Atonement) stands no chance of winning. No doubt some will complain, but I think the Academy did a fair job of representing the year in film. That being said, I find myself pulling for Juno over the two-headed angst-ridden monster of No County and Blood, if for no other reason than the furor it will create amongst the Alt-Weekly/blogger set who are already sharpening their "worse than Crash" knives. I can't count the number of levels on which "Juno" is better than "Crash." I liked Atonement, too, and definitely think Joe Wright was robbed. The reason that film works (beyond the very good adapted screenplay) was his tightwire directing. Although, I admit I think the continuous shot on the war-torn beach was a bit inorganic and showy. 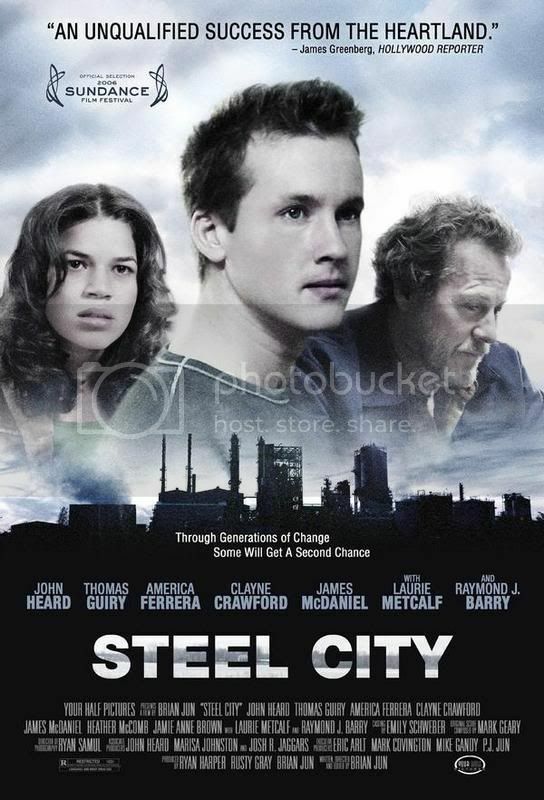 Still, great film and a very good adaptation of a FANTASTIC book. I haven't read any reviews, so I didn't know it was getting slammed in a lot of the critical press. Hmm. I wish Keri Russell had been nominated for Waitress. Oh, and Juno > Crash, on all fronts. Crash winning over Brokeback Mountain caused much gnashing of teeth in my living room, but Juno winning over No Country for Old Men would probably just get a, "well, the Academy does it again!" snide remark. yes, yes. i know i should see _juno_ before forming and opinion. sometimes i jump the gun and that front, and so much the worse for me, i suppose. seriously, though: ellen page = annoying to the max. i don't get all the "isn't she brilliant and shiny" people say about her -- not even from a single interview i've seen or read with her. ?? Christina - I'm going to say that the best way to get some of "isn't she brilliant and shiny" buzz around Ellen Page might be to, you know, see the movie, rather than just the trailer. And the best way to avoid getting exhausted by the hype surrounding a movie is, you know, not to read "isn't she brilliant and shiny" articles about Page, Diablo Cody or the movie itself. Yes, the trailer was forced on you to some degree, but nothing else was. The people who like "Juno" most are the people who, at least to some degree, are getting to just discover it, either the people lucky enough to see it in September or October when there was only a wee bit of hype -- Fox Searchlight went from begging me to interview people from the movie to my begging them literally in less than a week. To my mind, "Juno" is a well-written, well-acted quirky comedy. Nothing more or less. It would be a bizarre best picture choice, but it would also be a better movie than plenty they've lauded in the past. i already said i should see it! gosh. honestly, though, if i don't think i could take her impression of a world-weary 35 y.o. in the body of a 16 y.o. routine, with the flat, nasal monotone for the duration of the feature-length film. if i ended up liking _juno_, it would probably be in spite of ellen page, which would be a very strange thing, indeed, since it's her vehicle. she's just not my cuppa. you're allowed to have this w/ tilda swinton and cynthia nixon. why can't i w/ e.p.? i dunno, sometimes i'm just ornery. Yeah, it's an Ellen Page vehicle, but the rest of the cast is good as well. (OK, not Rainn Wilson, but I'm not sure he has any lines that aren't in the trailer.) I do think people who came to it fresh probably appreciated it more, although I liked it. The trailer gave away too many story beats. While I didn't dislike it, if Michael Clayton wins Best Picture I'll be very annoyed.